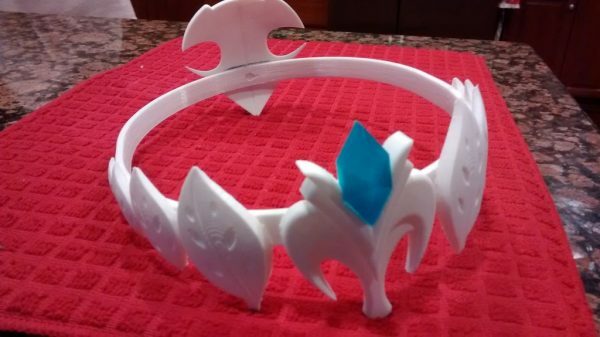 Zelda Crown #3DThursday #3DPrinting « Adafruit Industries – Makers, hackers, artists, designers and engineers! First, I have to give a huge thanks to ESSEFF3D who did the real design on this (and has lots of other Zelda items)… the core design was really solid, and is basically unchanged in my remix… I wouldn’t have taken this on for my daughter without such a great starting point. My daughter went to comic-con as Zelda… so of course she needed a crown. Problem was that the original design was too small (headband) and appeared a bit thick (chunky), and she wanted it to be more delicate.